A pregnant woman nearly died after her unborn baby kicked so hard that it tore a hole in the wall of her womb, New York Post reported. According to the outlet, the Chinese woman, identified as Zhang, was 35 weeks pregnant when the bizarre incident occurred. She had been experiencing pains in her stomach but dismissed them as an upset tummy. Hours later, Zhang reportedly started to break out in a cold sweat -- and things got worse. Cataracts are cloudy eyes and are most common in older people. Many times they can be indications of tumors or diabetes. Because many people don't think to put sunscreen near their eyes, skin cancer often forms around them. If you see a non-healing sore on your eyelid that may be causing your eyelashes to fall off, it could be time to consult a doctor. Droopy eyes on both sides may be a sign of myasthenia gravis, an autoimmune disease associated with muscle weakness. Dr. Hagan explained the disease can range from mild to more serious, deadly forms. If your retina is inflamed because of your sensitivity to light, doctors may be concerned with HIV/AIDS. Droopy eyelids and differently dilated pupils may be an indication of Horner's syndrome, often associated with tumors or aneurysms. Oftentimes, cancer in the body may show up in the eye as well. According to Dr. Hagan, the two most common ones include lung cancer and breast cancer. She rushed to the emergency room a few hours after she first began to experience pain, where doctors said Zhang complained of extreme pain and was having problems with her blood pressure and breathing. 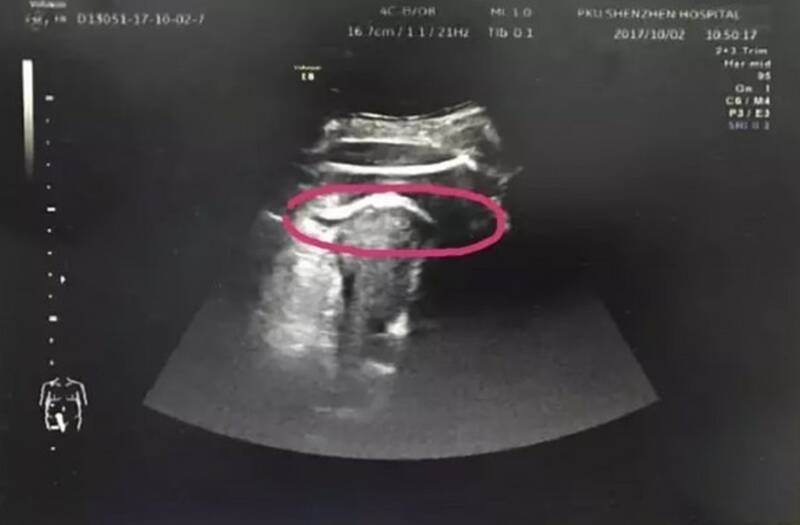 Suspecting her womb had ruptured, specialists performed an ultrasound on Zhang and found that the fetus' leg had "kicked through" Zhang's uterus wall and into her abdominal cavity. Fearing Zhang's risk of internal bleeding, and the risk it posed to both her and her unborn baby's lives, specialists chose to operate on the mother and daughter. Luckily, they managed to safely deliver the baby girl in 10 minutes. Surgeons reportedly found a 7-centimeter "break" in the wall of Zhang's womb while carrying out the operation. When looking back at Zhang's medical history, surgeons found that she had undergone an operation to have fibroids removed from her uterus the previous year. This ended up leaving a weak spot in her womb where the scar was, which was torn open when her daughter kicked.